Product recovery, vehicle or plant salvage and site restoration are facilitated by CROIERG’s well maintained store of equipment that includes a large number of specialised spill response trailers. 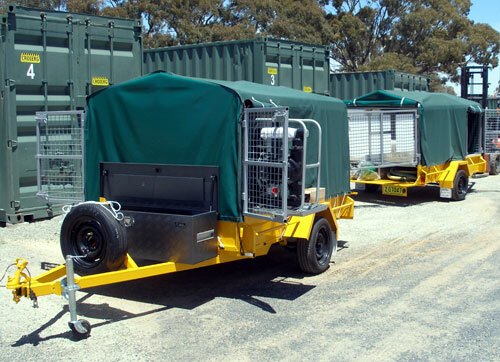 There are 34 spill response trailers available in strategic locations across New South Wales, the ACT, Victoria and Queensland. The group concept is one of ‘Mutual Aid’ for equipment & supplies. By pooling spill control, containment and clean-up equipment a large supply of specialised equipment is available affordably for the individual member. The CROIERG Website is an important tool in the Group’s approach to all aspects of Emergency Response, including communications.